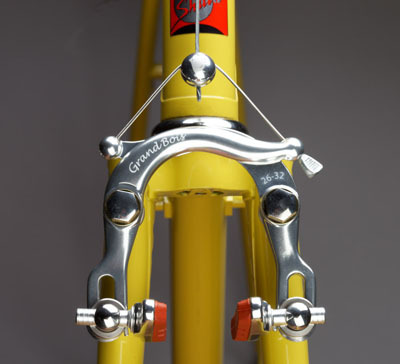 Centerpull brakes provide a powerful alternative to cantilever brakes, especially when mounted on brazed-on pivots. Braking is easy to modulate and produces a lot of stopping power. In addition, the brake arms barely protrude beyond the frame. 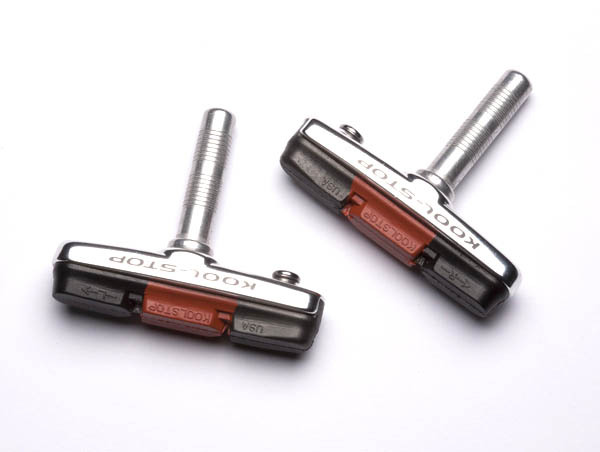 These are a beautifully finished, updated take on the classic Mafac Racer and RAID centerpull brakes, featuring adjustable toe-in and KoolStop brake shoes. The pivots are machined so that they rotate smoothly with no play or slop. Brass washers are supplied. Stainless steel hardware. 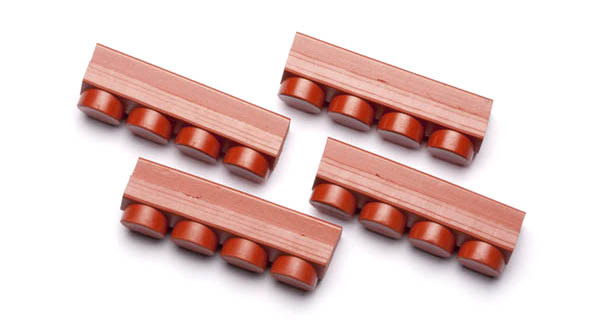 These will work with a range of wheel and tire sizes. There are two models: the 26-32 (dimensions comparable to the classic Mafac Racer) will fit tire widths between 26 and 32 (pictured), and the 36-42 (comparable to Mafac RAID) will fit tire widths from 36-42. This includes fender clearance. Backplates are available for those wishing to use these brakes with a single bolt like sidepull brakes, rather than using brazed on pivots. 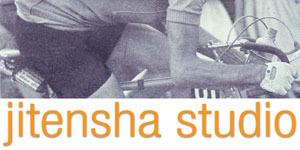 Please inquire for price and availability. 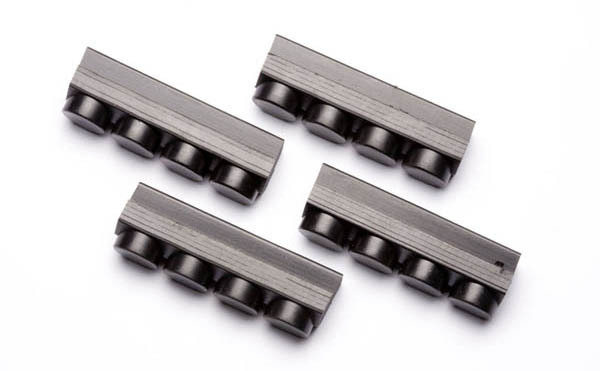 Available in either satin anodized or highly polished unanodized finish. For those wanting exposed brake cables or looking for a more classic look there is very little available other than hunting for used parts, and if you need hoods it can be nearly impossible. These high quality levers fill the bill. Reasonably priced, with cable tension adjusters and very nice hoods. 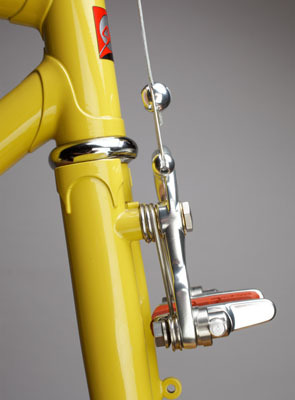 For a classic look on a flat bar project mountain bike levers just don't satisfy. 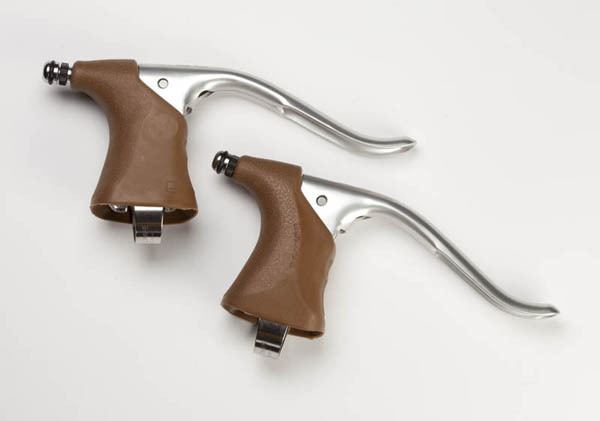 These levers are in the mold of classic Weinmann and other levers for bikes with flat bars. High quality construction, light weight, inexpensive. Those of you who love vintage MAFAC brakes now can replace your hardened or worn out pads without losing the classic look with state of the art modern replacements from Kool Stop. These are about the best stoppers out there. Black or salmon compound. Our favorite replacement pad. 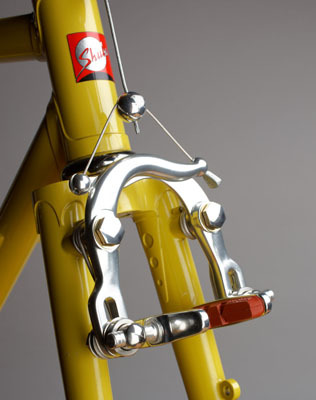 Fits any cantilever and some centerpull brakes. 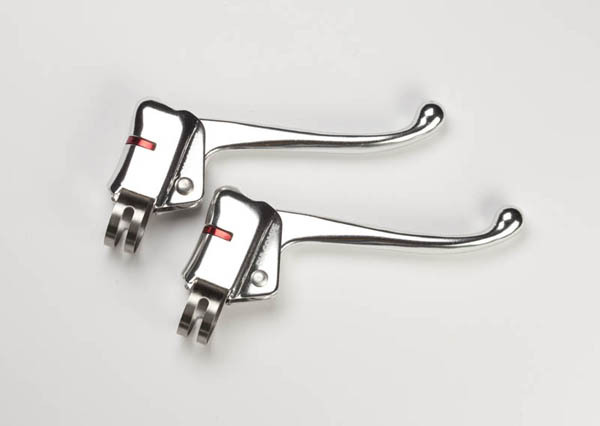 Same compound as the above pads in a low profile post and shoe setup, which allows the brake arms to open as much as possible when inserting or removing a wheel.